I hate to be one of those people advertising Christmas before Halloween has run its course, but my painting schedule does fill fast! Be sure to email heather@flyoungstudio.com if you’d like to get on the list. ***Come the start of 2014, I’ll be raising my fee for Pet Portraits considerably. They are truly a labor of love, but they take many layers of oil paint and lots of hours of work to complete. Anyone that gets on the list before December 31st, 2013 will get the old rate of $250 for an 8×10″. 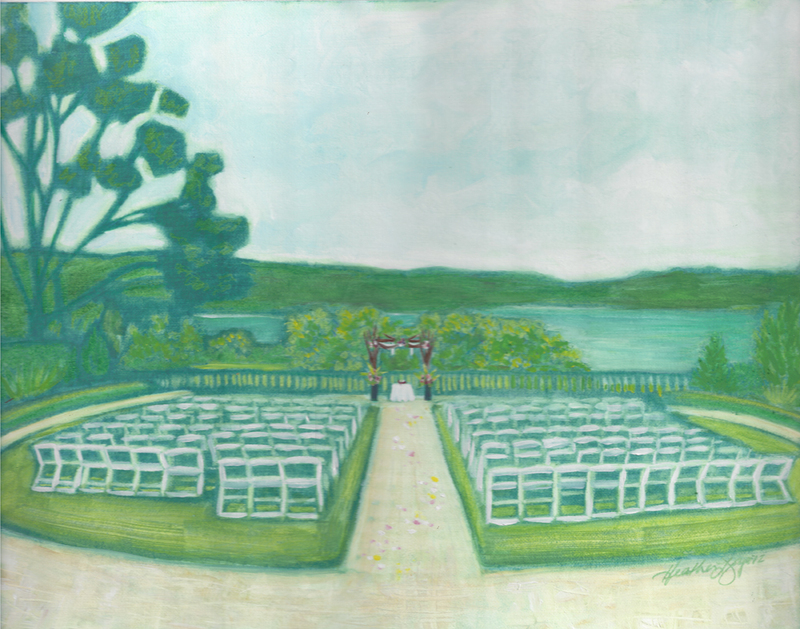 Custom Wedding Landscape Oil Painting – a Lovely Anniversary Gift! The bride’s sister commissioned me to capture that quiet moment before the the guests arrived and the festivities began. I can remember peeking out of the window at my own wedding to see everything set up, and Aunt Pam tossing flowers down the aisle like a little school girl. That peaceful moment was so full of anticipation. If you would like to commission your own for a loved one, please see this listing. Additional sizes are available, just ask! Also keep in mind that oil paintings take several weeks to paint and dry, so order several weeks in advance. Gift cards available upon request. It’s almost therapeutic to draw all the little details in Savannah ironwork. I really enjoyed pulling this one together. Visit The Ink Lab to commission your own – click here to see house sketches from years gone by. 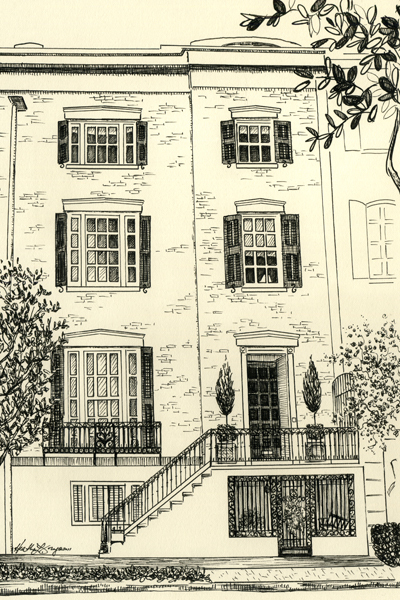 I love it when a customer commissions a custom pen and ink drawing and gives me a little back-story, history, or memory about the property. 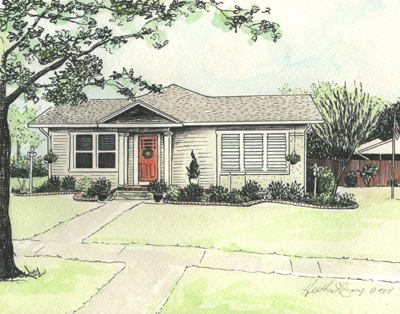 The slatted windows, the barn built by hand out back, the crooked little sidewalk…this house was loved. 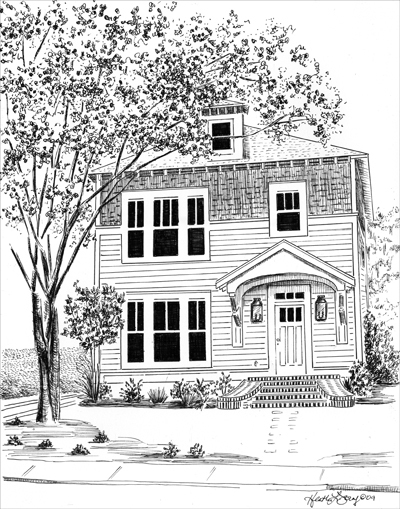 If you’d like to commission a drawing of your old family home, (and with the Holidays approaching, now is an excellent time), remember that I can make inexpensive archival-quality prints of Grandma’s house for the whole family….large or small, hand-watercolored or black and white, lots of options to choose from! Sometimes a personal connection with a subject makes it incredibly hard to capture in a truly representational form. 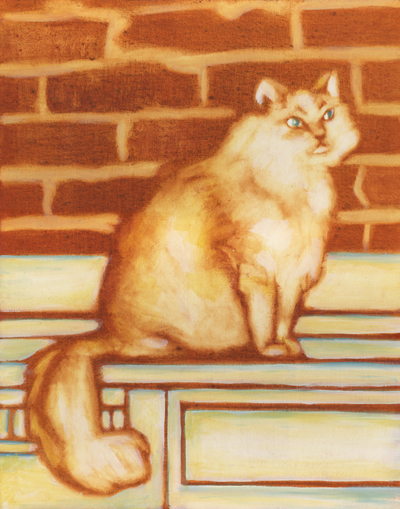 My brain tells me “I know what that cat looks like”…my brush listens to my brain instead of trusting my eyes, and the next thing you know, you don’t even recognize the work in front of you. Thankfully, I took this one slow…adding a wash here, a wash there…I knew at some point it would speak to me, and it did. P.S. 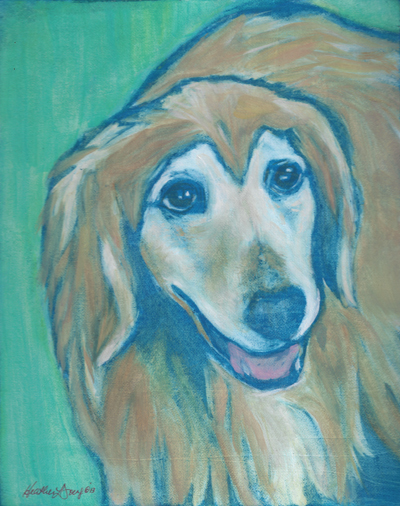 There’s still time to get a portrait of Man’s Best Friend for Father’s Day…book quick! 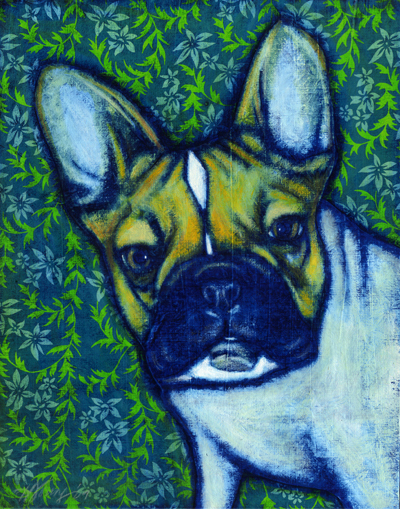 He may be the last to post, but he was the first of four French Bulldog commissions to come my way this year. Just look at those ears! I absolutely adore him!